This week marks the 60th anniversary of the release of the original “Godzilla,” known as “Gojira” in its native Japan. 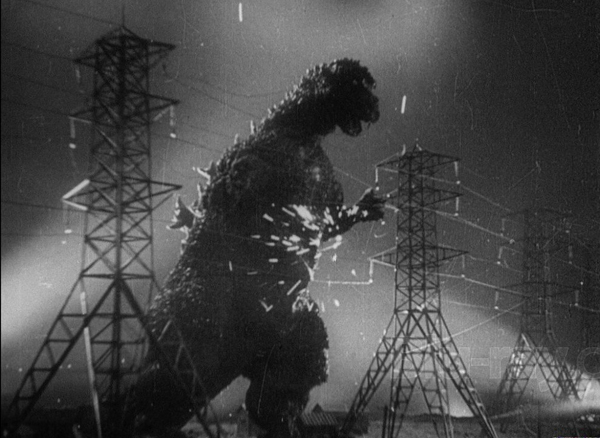 The Japanese cut of the film wasn’t available in the States until 2004, so for roughly 50 years, Americans had to make do with the U.S. edit, “Godzilla, King of the Monsters.” It featured Raymond Burr, thanks to some…unique editing. The biggest crime of the U.S. version wasn’t Burr’s haphazard inclusion, but the way it muted — eradicated even — the cautionary aspects of the original. Warning: giant monsters and spoilers ahead! Director Ishiro Honda’s film begins with a dramatization of an event that would have been fresh in the minds of Japanese citizens. In early 1954, the S.S. Lucky Dragon 5 and the men on board were exposed to fallout from H-bomb testing. “Godzilla” begins similarly, a group of fishermen are consumed by flames after witnessing a blinding flash of light. Honda invites our curiosity by completely concealing the monster. Staging the scene so obliquely, he positions the film as a haunting and even cathartic nuclear allegory. As more ships disappear, the Japanese public demands answers. In one of my favorite effects shots – “favorite” not to be confused with “best” — what’s clearly a model boat bursts into flames. It floats along the surface of the water, a ghost ship, before sinking beneath the waves. When the full nature of these disasters becomes clear, we get varying perspectives on how to deal with the problem. Salvage ship captain Hideto Ogata (Akira Takarada) wants Godzilla destroyed. It poses too great a threat. 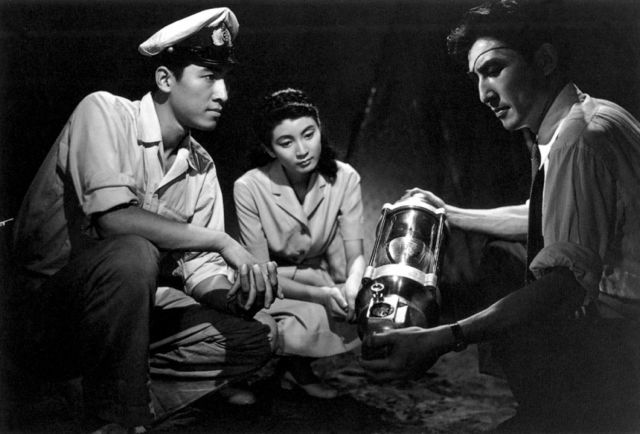 Paleontologist Kyohei Yamane (played by Kurosawa-regular Takashi Shimura) wants to preserve the creature for study. What is it? How long has it been there? How did it survive the atomic tests? They’re linked by Emiko (Momoko Kochi), Kyohei’s daughter and Hideto’s lover. The film’s special effects centerpiece is Godzilla’s attack on Tokyo, made possible by “suitmation.” Pioneered by Eiji Tsuburaya, an actor in a monster suit storms through a miniature city. Though the technique is dated, many shots hold up. Honda and Tsuburaya frame Godzilla from low angles with foreground elements — buildings, power lines, and a bird aviary in one case. This creates scale while inky cinematography hides the seams and contributes to a sense of dread. So many films, post-9/11, attempt to channel the apocalyptic sense of doom from that day, but few achieve what this one does. 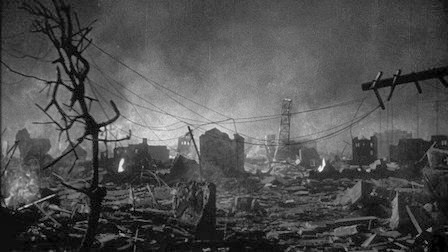 The morning after the attack, an eerily-calm establishing shot of Tokyo shows the city in ruins. A young girl cries as her deceased mother is carried through a hospital corridor that’s bursting with wounded citizens. A doctor examines a patient with a Geiger counter. A children’s choir sings for peace. These moments carry all the weight and immediacy of a documentary. Despite this film having only one city-leveler — not the smorgasbord* of later installments — the stakes have never felt higher. The sorrowful tone is carried through to the film’s final moments. Dr. Serizawa, seeing the aftermath of destruction, concedes to use his weapon. In doing so, he takes his own life. Now that the world knows of his invention, he can’t be coerced into making another. Where many films might strike a triumphant note with the demise of the monster, this one does not. Akira Ifukube’s mournful score recalls the choir’s prayer earlier in the film. Like many great movie monsters, Godzilla is a victim of man’s overreach. As Kyohei watches, the ancient creature lets out a death cry and finally succumbs. He warns — in a bit of dialog that’s just a shade too on-the-nose — against further atomic tests. Alongside science fiction classics like “Frankenstein” and modern classics like “Blade Runner,” “Godzilla” stands as a stirring reminder of the reckoning that follows from man’s hubris. * – Not that I’m casting judgments. I’m all for a smorgasbord of giant monsters! 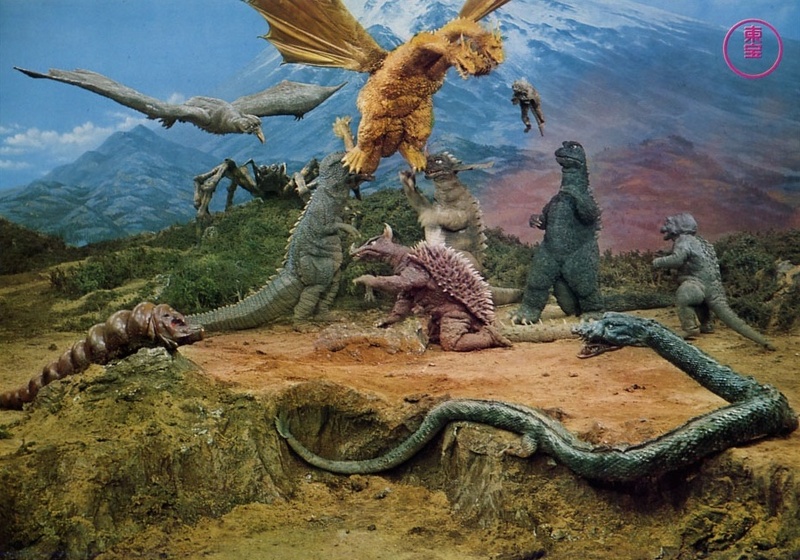 Have you seen the Japanese cut of the original “Godzilla?” How about the American cut? Comment below!